No student at Lamar University should ever go hungry. Food insecurity is a problem that some LU students have to deal with from time to time. To help prevent this issue, we've teamed up with our partners across campus to create the Cardinals Pantry, a free and anonymous food pantry especially for LU students. 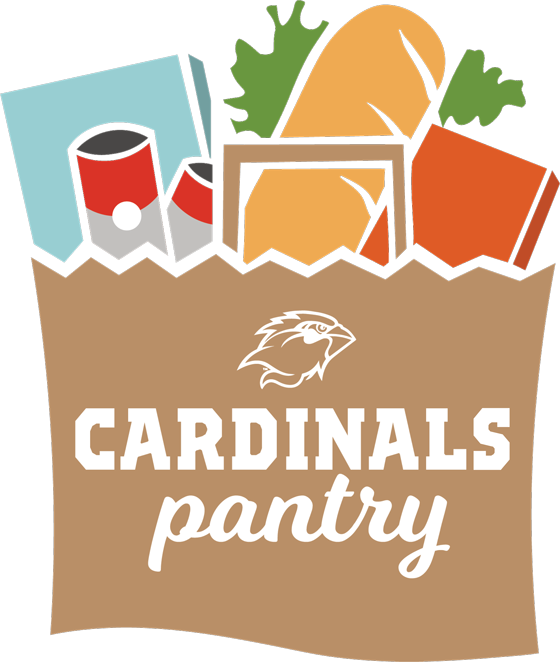 The mission of the Cardinals Pantry is to help Lamar University students succeed in their pursuit of higher education by providing access to free, nutritious food and additional resources. All currently enrolled students at Lamar University are eligible for this program. Stop by the Wesley Foundation during our open hours. If you need more help, please register here Pantry Registration Form. We'll keep your information confidential, and we'll help you find the resources you need to succeed. We need your help to make the Pantry a success! You can donate non-perishables to the Pantry year-round, organize a food drive with your student organization, or volunteer your time at the Pantry. On-the-go snacks: nutritious, single-serve foods that don't require refrigeration or a microwave. Easy breakfasts & lunches: healthy, quick items that might require a microwave or minor prep. Pantry staples: shelf-stable foods meant to be prepared at home.